Give a man a fishing lure, and he catches fish until he loses the lure. Give a fisherman a 3D-printer, and he can print all the fishing lures he wants, especially replicas of those that are too valuable to actually use. It may seem strange that some people collect fishing lures rather than use them, but when you look at [Hunter]’s collection, it’s easy to see why. Lures can be very artistic, and the Heddon River Runts in his collection are things of beauty and highly prized. They’re also highly effective at convincing fish to commit suicide, so rather than risk the originals, he and his dad 3D-printed replicas. 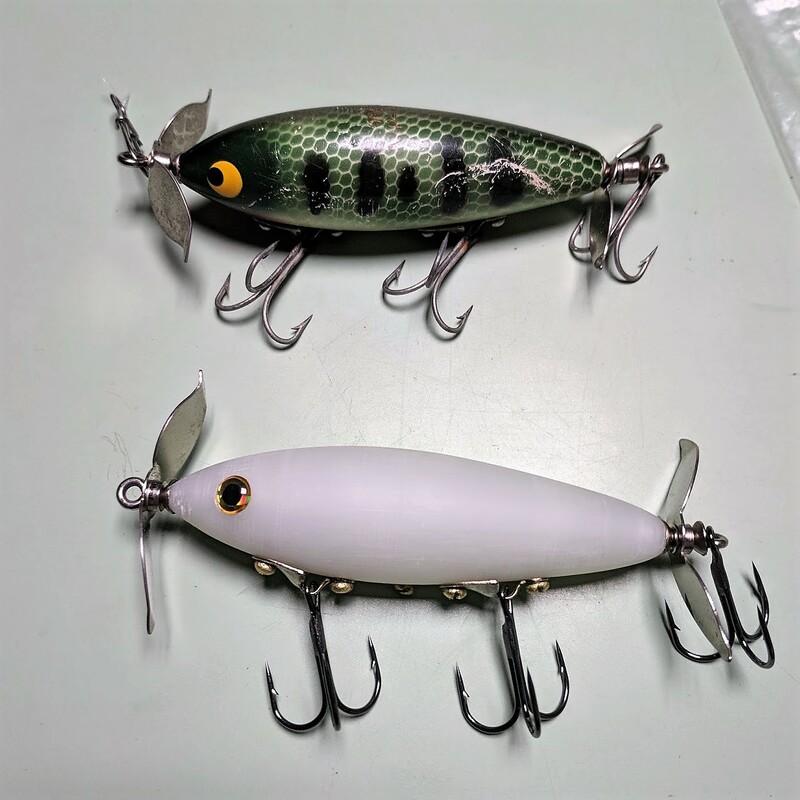 After modeling the body of the lure in Blender, they modified it with air pockets for buoyancy and located holes for attaching the treble hooks and lip spoon, which was fabricated from a scrap of brass from a rifle casing. The finished lure lacks the painted details and some of the charm of the original River Runt, but it has something Mr. Heddon couldn’t dream of in 1933 when he introduced it — it glows in the dark, thanks to the phosphorescent PLA filament used. That seems to be irresistible to the bass, who hit the lure so often that they got sick of taking pictures. See it in action in the video below. [Hunter] and his dad have been busy exploring what 3D printing can do, replicating all sorts of Heddon lures. They’ve even got plans to design and print their own lures. But maybe archery is more your sportsman thing than fishing, in which case this PVC pipe compound bow or a recurve bow from skis would be something to check out. Want A Leak-Proof Camper? Better Fire Up The 3D Printer Now. Ah, the great outdoors. Rejuvenating air rife with mosquitoes and other nasties, and spending some time hanging out in the woods sleeping in a 3D printed camper. Wait– what was that last one again? Yep, it’s exactly what it sounds like. A Canadian team headed by [Randy Janes] of Wave of the Future 3D, printed a camper at [Create Cafe] in Saskatoon, Saskatchewan, using high-flow nozzles on one of the largest 3D printers in North America. These layers are 10.3mm thick!! This trailer is one single printed piece, taking 230 hours — nine and a half days — of straight printing with only a few hangups. Weighing 600lbs and at 13 feet long by six feet wide — approximately 507 cubic feet, this beats the previous record holder for largest single piece indoor print in size by three times over. ChangosMuertos wrote a comment on Linux-ESPNOW.